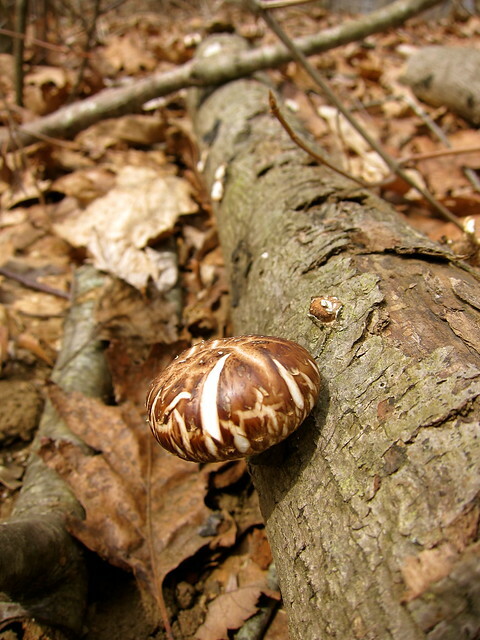 As soon as last week’s snow melted, we poked around the garden and came across one of the shiitake logs fruiting. We’d long given up on them, but they’ve proven tenacious. Two logs were inoculated in 2010 and left in wooded part of our garden. They usually last 1 to 2 years, and up to four years if unsoaked. 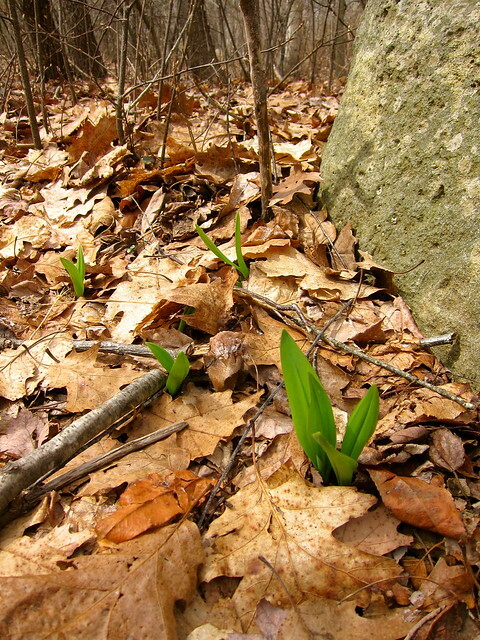 A tiny patch of ramps have also reappeared — still not enough to harvest, though encouraging just the same. We buy ramps sold with their roots attached to use as planting stock, and will be on the lookout for more to add to the garden. How fun, you do try growing some very adventurous veggies! Very cool. We took a class on this last year and have a log now. We’re waiting to see how things turn out. 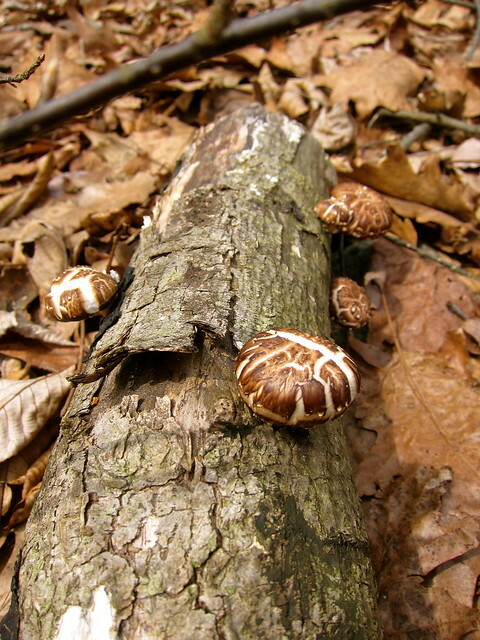 I can imagine how pleasantly surprised you were in finding those fruiting logs! I’d have been giddy! Who knew, right? And a result of a favorite gardening technique, benign neglect!